President George Bush celebrated his 90th and 85th birthdays by skydiving with Sgt. Michael Elliot (pictured above and below). When he was President, Bush banned broccoli from Air Force One. Dated June 25th, 2016 at 8:20 a.m.
Presidents Bush and Bill Clinton were best friends. 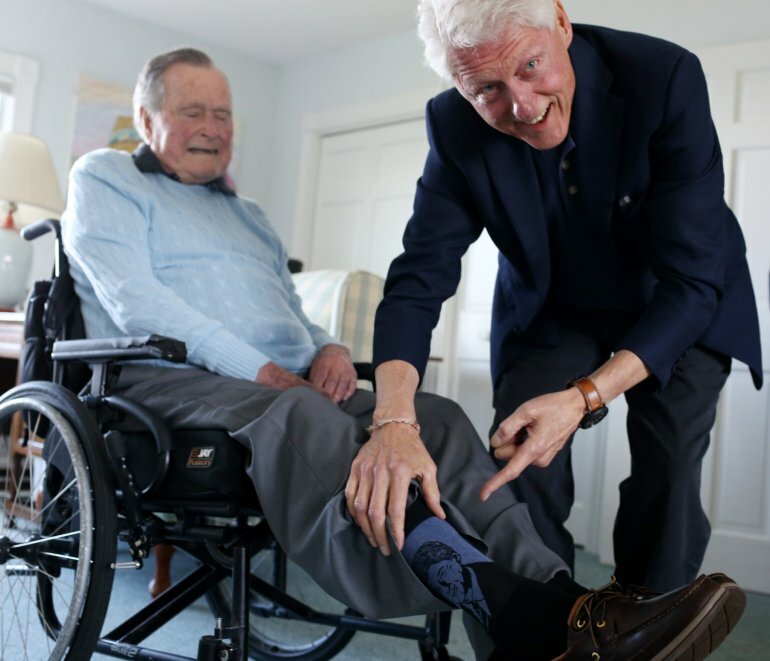 Earlier this year, Bush wore socks with an image of Bill Clinton.